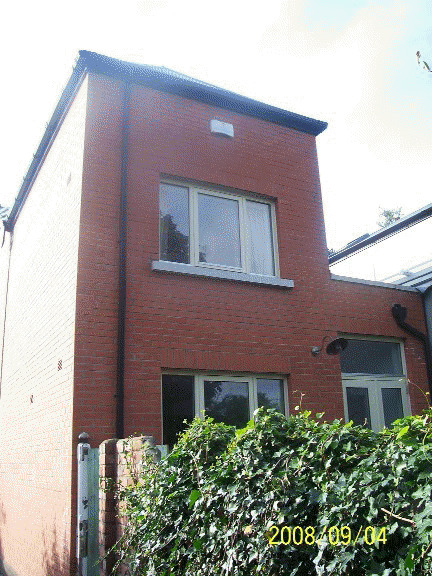 Project: Domestic extension for a 19th century dwelling in Dublin 9 Date: 2007 - 2008 Job Description: Design & Planning Services, Project Management. Our clients bought a 19th century, 2 storeys, end of terrace dwelling, with a single storey extension at rear. Our clients were willing to create a large open plan dining/kitchen at the rear of the ground floor area. They were also interested with suggestions for the creation of a comfortable bathroom at upper level. The existing layout of the house was not suitable for modern living. Extensions that were added at rear between 1950 and 1960 had to be removed. Answering to our clients' brief, we proposed a large open plan dining/kitchen orientated North - Northwest to the rear garden. We transformed the smallest bedroom at first floor into a large comfortable bathroom and created a new larger bedroom to the rear above the kitchen dining area. 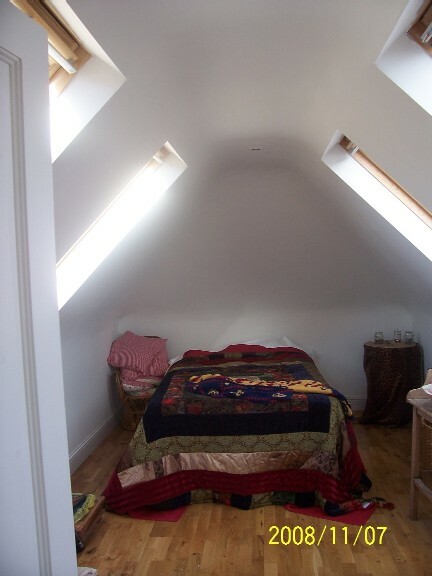 We also proposed a store room within the attic of the new built, which was welcomed by the clients. 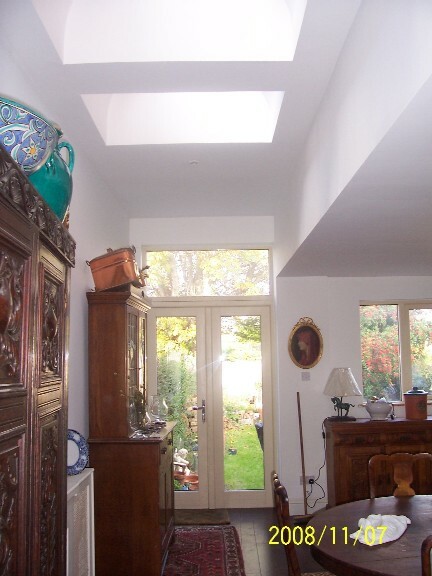 To help with sun light penetration at ground floor we proposed 3 skylights installed on a flat roof as seen on photos. This extension has revived the dwelling, creating large enlighten rooms to suit our clients' modern way of life. Our clients appointed a General Building Contractors to build this project. We provided the contractors with all the construction design, relevant specifications and contractual documentation. Barrett Mahony Consulting Engineers were appointed to rectify a movement within the existing structure. Cracking had appeared within the facades of this 19th century dwelling. The gable wall was reinforced to stop the movement which had occurred between the years and centuries. All the works were completed within 7 months.